So it has been a few weeks since we finished our Whole30 journey, and I am back in my home state. Making the transition from an environment where meal plans were done for me, and there weren’t many non-Whole30 options around, is going to be a challenge. However, I learned a great deal in the past couple of months, and want to share the things I’ve learned with others who may be considering giving Whole30 a try. 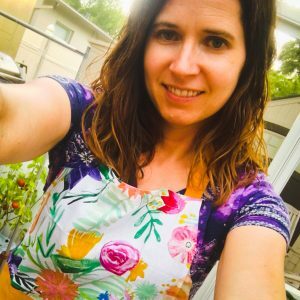 So here are a few lessons that I learned on my Whole30 journey! Reintroduction is a vital part of the process. Who knew that gluten could be such a pain? My days of waffles for breakfast, a sandwich for lunch and a big plate of spaghetti for supper are over. Plus, it is really a shame that my favorite blueberry/lemon muffins can turn me into a zombie. But it isn’t just gluten that I discovered an issue with. My other villains are soy and dairy products. Adding all of these items back individually allowed me to see how they each affect me… which is such valuable information! So my choice will be to stick close to Whole30 menus for the foreseeable future. Menu planning and cooking are essential. As a retiree, I have the time to cook every day, but often not the inclination. I’m looking for simple meals that require little time in the kitchen. However, finding meals to prepare for just one person is difficult. I sleep late, so my breakfast is more like brunch. My favorite morning meal is no-grain oatmeal with almond butter. As for supper, my plan is to cook when I’m feeling energetic, make individual portions, label with the date prepared, and freeze for my next lazy day. I also want to explore the wonderful world of protein smoothies. (Good thing my daughter knows a thing or two about Shaklee’s Life Shake!) A smoothie and some fruit could make a simple meal, especially in hot weather. Start your own cook book. Have a list of go-to meals that don’t require a recipe and require minimum time. Whole30 is a way of life. Eating the Whole30 way gives me more energy, to not only complete daily activities, but also to explore new ones. Also, my allergies and breathing problems have noticeably improved, enabling me to get out and be more active. And perhaps best of all, I may be able to eliminate or reduce the dosage of some of my medications. All of my doctors will have the opportunity to evaluate the “new” me this summer. So I’ll keep you posted!